Cairo is overwhelming. It’s beautiful. It’s loud. It’s dusty. It’s draining. It’s everything and everyone all together – bringing us joy, intrigue, wanderlust, annoyance, anxiety, aloofness and what may be! And within this great city, a festival can arise in which we absorb and let go through music, film, art, culture, fashion, food or even sports. Here are the top 10 festivals in Cairo that have been chosen based on the momentum of feelings and experiences they stimulate in us. Every year for a straight three weeks between March and April, Downtown Cairo witnesses a raid of spectacular contemporary art events unleashed by D-CAF’s (short for Downtown Contemporary Arts Festival) extensively curated programs. Downtown becomes the hub of a collection of aesthetically and culturally stimulating local and international events, comprising of performing and visual arts, music, film, seminars and workshops, and their most prominent, urban visions which takes place around the busy streets of Downtown Cairo. D-CAF is famed for using a diversity of authentic venues that been reopened particularly for the festival, have undergone renovation or simply hold a prodigious history behind them. The festival also extends part of its program in Alexandria’s Downtown area. The youthful organizing team never seize to introduce fresh dynamic and conceptual experiences to the public that challenge and rouse our philosophies in unexpected ways. The unprecedented selections of this unique film festival is meticulously drawn by a team of professional programmers and organizers of Misr International Films and Zawya cinema. Since 2004, a wide-range of award-winning feature and documentary European films have swooped a number of cinemas around the city’s Downtown area such as the art-cinema, Zawya, and the newest spot, Cinema Karim. Nevertheless, the festival expanded its screenings all around Cairo as well as various cultural centres such as the Italian Cultural Institute, Goethe Institute and the French Institute. The program categorizes its films under various sections that aim to cultivate and exchange debate and widen perspectives around various themes and subjects. Granted, the festival has attracted a lead number of audiences, international guests and discussions which weigh its credibility as one of the most important events of every year. One of the most recognized annual film festivals in Africa and the Middle East since 1976, the Cairo International Film Festival, is organized by the Ministry of Culture. It has been granted the category “A” status by the International Federation of Film Producers Associations, which puts it on the same pedestal of world festivals in Cannes, Montreal, Berlin and many others. The program’s multiplicity is a token for the festival’s immensity, where actors, actresses, directors and famed celebrities from all over the world participate in its screenings, jury board, or symposiums. With that, the festival arranges a wide spectrum of films divided into different categories that shed light on diverse cinema cultures, especially of Egypt’s and the Arab world. It’s worth mentioning that the festival’s fortes also lie in its ‘Cairo Film Connection’ program, which is dedicated to fund potential Arab filmmakers and promote Egypt’s cinema culture across the world. Foodgasm is the most appropriate word for this one! What’s better than a gathering of over 60 food chains from all the cuisines that you can think of in one place, just to give your taste buds the flavours they deserve? Cairo Bites has an apt for bringing the best of food selections, local and international food and drinking businesses, and top celebrity chefs in one place for you to meet, greet, drink and eat. Festivities during this all-day event shower every attendee with the unique tunes of underground bands, cooking competitions, stand-up comedies, and a dedicated fun area for kids. Everyone can enjoy this leisurely, luscious day with much explorative flavours and fun intertwined. For all those cynics out there, sports is FUN! And Egypt Fitness Fest can prove that to you. This is the event of the year that many fitness and healthy frenzies await. A two-day festival exposing the hottest and newest trends in the fitness world, brought to you since 2013 by leading instructors, a professional organizing team, and top gyms and sports centers. A festival like no other that showcases and engages everyone in vigorous varieties of free fitness sessions such as Cross Fit, Pilates, Zumba, Les Mills, Insanity, Kids Fitness, and so much more. The highlight of the festival rockets at El Fit Reebok Competition where runner-ups selected from six different countries across the region strive in an exhilarating fitness battle. Not so long ago, a group of young fashion entrepreneurs organized a large-scaled fashion event that has risen to become one of the most renowned annual fashion festivals in Egypt and North Africa. Since 2012, Cairo’s Fashion Festival has attracted a total of 4000 guests, including a splendid diversity of local and international fashion talents, entrepreneurs and professionals. Many non-fashion talents, buyers, and retailers from around the region attend the festival, where worldwide brands showcase their designs on a runway show, alongside many established brand-owners who exhibit and sell their creations. Cairo’s Fashion Festival has surely paved its way to become the anticipated fashion event of every year for fashion virgins and experts alike. Art Blakey once said, “Jazz washes away the dust of everyday life.” And what truth it brings to Cairo’s riving city that never sleeps! Jazz music is the world music of improvisation, where the beauty of sounds coming out from the brass and wind instruments collect your troubles into insignificant wastes, washed away by uniquely original tunes accumulated for our souls. Phew! Well, Cairo Jazz Festival has made sure to bring this originality to Egypt’s heart since 2009, living up to its reputation of “presenting the best of the world’s jazz” from various lead international musicians and bands to talented local Egyptian artists. 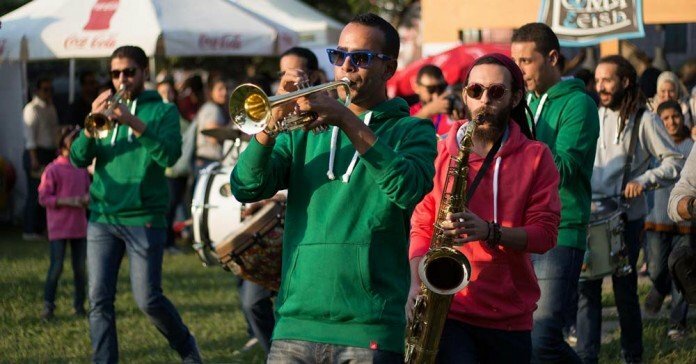 It also provides a series of workshops and masterclasses during its festival’s four days to raise the understanding of jazz music and to cultivate people. For contemporary dance and theatre lovers, this is one festival you don’t want to miss. Every other year for four days, Studio Emad Eddin Foundation in collaboration with Orient Productions organizes 2B Continued Lab and Festival which brings us three to four exuberant, highly innovative contemporary dance and theatre performances. With voting cards handed to the audience during the shows to determine a winner, much energy and excitement fills the stage. Preceding the festival, an expertise of leading sound, theatre, light and stage directors guide the chosen choreographers and theatre directors through a creative and tactical process to produce their plays and performances on the AUC Falaki Theatre’s stage. Igniting children’s artistic and cultural drive is the main goal of this one-of-a-kind festival. Since 2011, The Hakawy International Festival for Children provides the Egyptian children and their families a thrilling, engaging platform of live theatre shows, puppeteering, and story-telling, along with workshops that trigger aesthetic and cultural roots. Also, stimulating topics about the importance of art education for children are led by performing arts experts and cultural managers. Organized by AFCA for Arts & Culture, the festival establishes its grounds at the Hanager Theatre in Cairo Opera House every year and extends to Alexandria’s Bibliotecha. The festival attracted a wide-reaching number of 2500 guests in the past years, with keenness on reaching more children from all over Egypt. Folk music you might ask? Legendary folk artist, Pete Seeger, summed it up for us in one sentence: “I think folk music helps reinforce your sense of history. An old song makes you think of times gone by.” With Egypt’s long-line of culture and heritage faced with growing westernization, all we need is some rich traditional tunes to remind us of our inherent identity. This is what Wanas International Folk Music Festival does! A recently established annual event that brings an array of traditional musicians from Egypt and around the world to recreate and revive folk music within modern days. The organizers, El Mastaba Center for Egyptian Folk Music, ensure a rich selection of musicians from the traditional Egyptian societies; the Bedouin, Sufi, Delta, Nubian and many more. They also host worldwide folk artists who introduce a one-off blend with Egyptian folk music. Throughout the three-day event, a range of folk workshops engage audience with the art of traditional music and its origins. 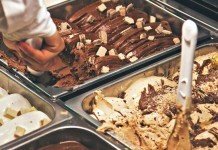 Gelato Mio’s Chocolate Festival is Back With a Surprise!